A while ago, I went to a wedding in Luckenbach, Texas. The tiny town with a population of 2 isn’t a hotbed for hotels, so the bride had a wedding block at a little inn in Fredericksburg, Texas. 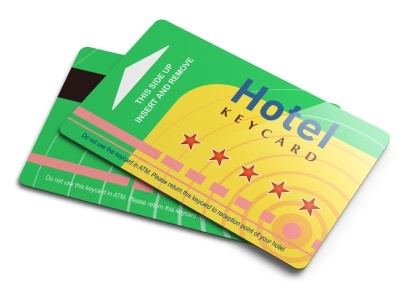 While standing in line at the counter, waiting to check-in and receive the keys to our room, I listened to the innkeeper explain how a keycard works to the elderly patron at the desk. Still waiting (the innkeeper was experiencing an issue with her computer), I saw the elderly man take his suitcase to his room and battle with the keycard. Another guest walked past and stopped to show him how it worked. Hours later as we were leaving to head to the wedding, I saw him again, alone, frustrated and fumbling with the keycard. Later, in my room that night, I toyed with the remote and fumbled among the blackened screen, searching for the right button that might lead me to a guide or menu or channel. Then, I thought of the old man again and his keycard. If this TV is challenging for me right now, what was he going through in his room? Imagine the difference between our TV options of today and the box with three channels I grew up with in the not-so-long-ago 1980s. I thought of all the technologies that my husband and I used to book our travel, reserve our rental car, map our way to the hotel and the little town of Fredericksburg using GPS, and how difficult some of these new technologies must be for those elderly folks out there that didn’t spend the majority of their lives online. When consulting with clients, many times I hear about the tug of war with technology and generational shifts happening among staff and members. Some of them are annoyed that their staff can’t learn to Tweet. Others are annoyed by a staff person’s need to overshare online. One client shared a story about a meeting comprised of their senior leadership who were thrilled when one member showed the rest of them how to take and text photos. All of this is to stress why mentoring, teaching, and training our members and staff is vital. With 5 generations now in the workplace, associations can’t afford to backtrack to print-only options and faxed registration forms, but they also can’t forget the challenges the non-tech-savvy face trying to perform simple tasks. How different my hotel experience in Fredericksburg must have been compared to the elderly gentleman’s that day. What mentoring programs does your organization have in place to help your staff master new technologies? How are you communicating your online offerings to your diverse audience(s) and helping to bridge the gap?